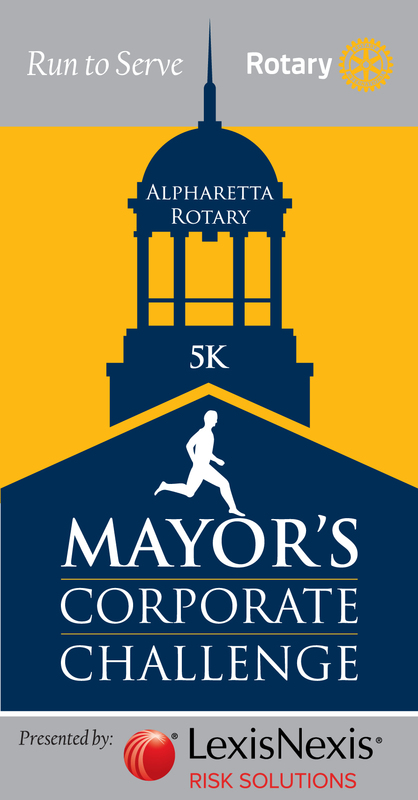 Join us for the Alpharetta Rotary's Mayor's Corporate Challenge 5K on Thursday evening, August 22nd, 2019 in front of Alpharetta City Hall. 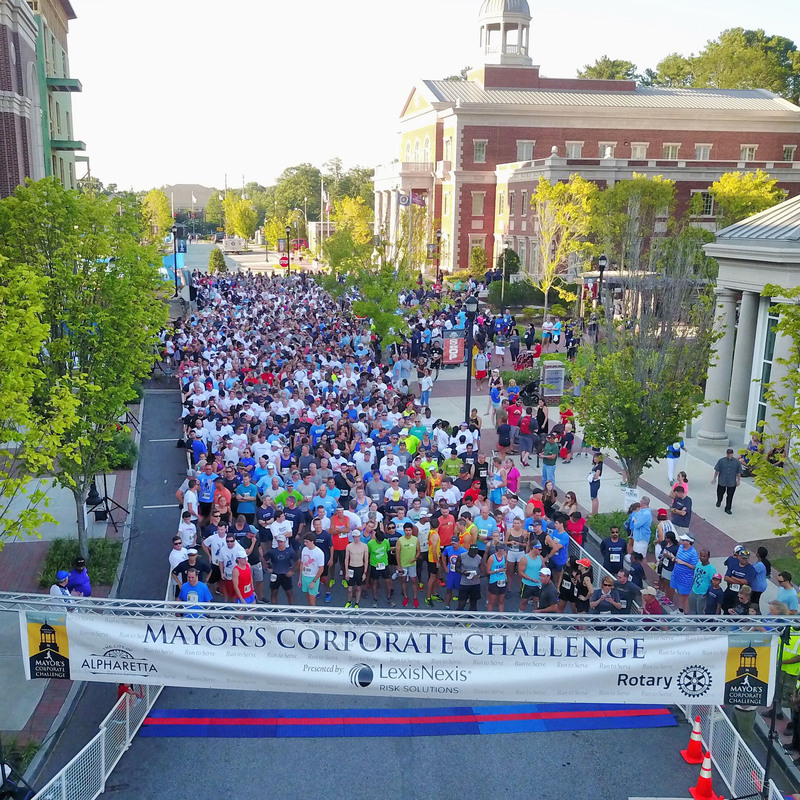 Great race to get your fellow employees out for a little exercise and fun to end the work week, but open to all runners and walkers in our community. Race is scheduled for 7 PM start time. Start could be delayed due to traffic and safety considerations. 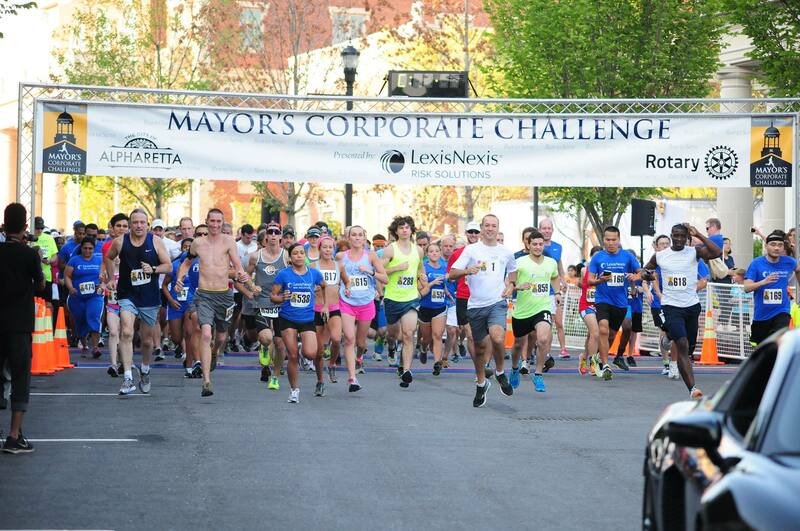 Please send sponsorship inquiries to info@mayorschallenge.com. Parking is available in the Alpharetta City Hall parking deck, as well as in the lots throughout the downtown area. Awards to the top overall and masters M/F finishers, and the top three M/F finishers in the following age groups: 10 & under, 11 to 14, 15 to 19, 20 to 29, 30to 39, 40 to 49, 50 to 59, 60 to 69, and 70 & over. Corporate team awards to the fastest three teams.